In November, the East Stand opens its doors for the first time offering four new restaurant spaces to Twickenham, each with their own style and culinary inspiration. From the relaxed Rose Garden with its street food offering to generous cuts of steak in the chop house of the Gate, to the fine dining of the Lock and the East Wing. "The opening of the East Stand has allowed us a new level of creativity with the menus and I'm really excited to see our chefs produce an incredible variety of new desserts," said Francis, who, with her team is responsible for producing up to 13,000 sweet items each match day. "The addition of the four new world-class restaurants has enabled us to use delicious new ingredients and present all our dishes in ways that reflects the style of the restaurants they are served in. "Cooking thousands of desserts in about two days is a huge challenge, but our dedicated team and great preparation ensures brilliant results," she adds. "It's really important to our chefs that guests in the East Stand have a top quality dining experience and we are confident our new menus will delight fans." Originally from Birmingham, Francis' love for cooking started in the kitchen at home helping her mother who she cites as a huge influence on her chosen career. It was an eccentric professor at catering college that got her hooked on becoming a pastry chef and she has honed her skills over 14 years in exotic locations including a private island hotel in the Caribbean and five years in Bermuda. 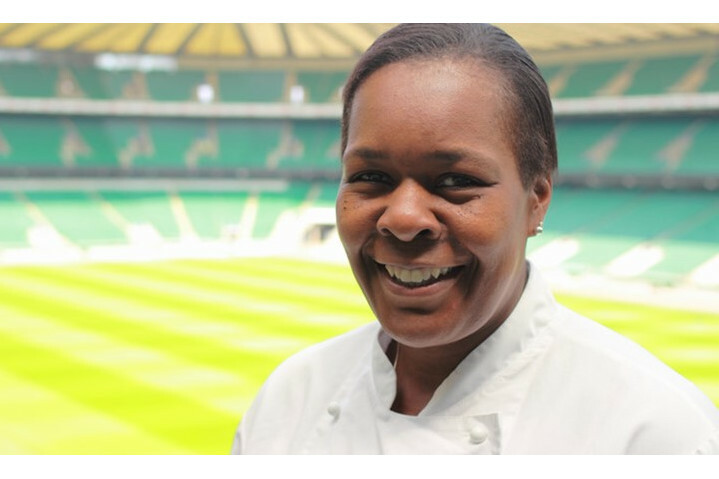 After working as the pastry chef at Tate Modern for five years she moved to Twickenham Stadium where she's been since 2012. Planning and delivering for the 2015 Rugby World Cup she views as one of her proudest moments and great preparation for the challenges of catering for an additional 4,500 people in the four England Rugby Hospitality restaurants in the East Wing.